Since I’m a grown up, I have adopted eating habits that would make my mother shake like the top of her pressure cooker. I eat cereal for dinner. I don’t always clean my plate. My voracious appetite leads to lots of crumbs around my mouth and stains on my pants. And for this week’s $10 Challenge, I ate dessert first. I spent a rainy evening soaking up authentic Asian cuisine at Vietnam Kitchen in the south end of Louisville. I had missed an opportunity to eat here when my buddy Keith came in town, and he suggested it as a subject for blog. I happily took the opportunity to further my exploration of this area of town, which is rich with diverse cultures and, therefore, food. Patrons filled these seats about five minutes later. Vietnam Kitchen sits in an unassuming storefront next to the ValuMarket grocery store in the Iroquois Manor Shopping Center. It would have been easy to miss had it not been for the steady stream of hipsters headed through the doors (as a pseudo-hipster, I can identify my own – snazzy glasses, skinny jeans, iPhones, etc.). A quick Google search shows that folks from across the city have discovered and fell in love with this modest south-end gem. On a Monday night, the place was gradually filled with large groups, couples and families. 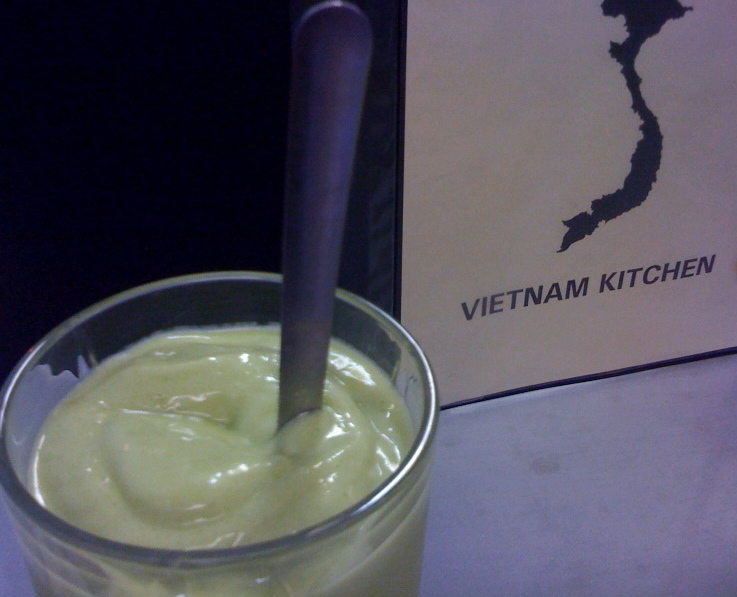 I skimmed the large menu until I found the item I was searching for — the avocado milkshake. This dessert was mentioned in an UrbanSpoon review, and the name alone made my mouth water (remember how much I love avocados?). I was so excited that I ordered the shake as an appetizer before I started to look at the entrees. To help meet my $10 criteria, my boyfriend and I agreed to split the $3.10 milkshake. Too bad he wasn’t prepared for me to like the milkshake as much as I did, because it was definitely an uneven split. The shake was creamy and rich, but not as sweet as most conventional milkshakes. The avocado flavor was so subtle that I didn’t even think about guacamole while I gulped down the shake. I annihilated that drink, so I decided to pay for it myself. 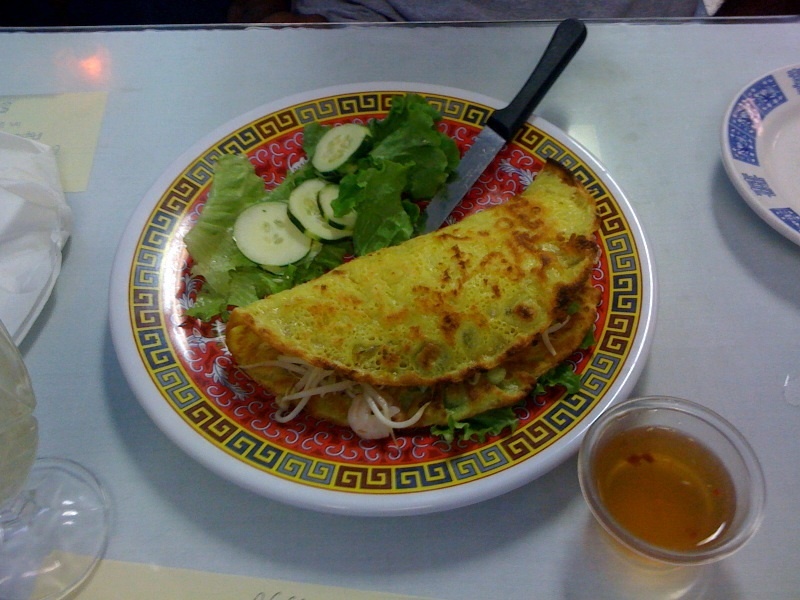 Fortunately, the BF got his own appetizer, a Vietnamese pancake folded like an omelet and filled with shrimp, sprouts and onions called bánh xèo ($6). A savory pancake. I can dig it. My appetizer/dessert (dappetizer?) geared me up to pour through the rest of the menu. Most of the dishes, which ranged from traditional Vietnamese soups to Americanized meals like chicken and broccoli, fell right under the $10 mark. Unfortunately, some of the items that caught my eye, such as the cá bong lau kho tộ (boneless catfish simmered in a clay pot, $9.75) and the ga xao gung* (ginger chicken, $8.75), would put me over my budget. I wanted to venture out of my comfort zone since it was my first visit to the restaurant, so I consulted with the waiter. He suggested the pho, a noodle soup dish he said is common throughout Vietnam. He spent a few minutes explaining how it takes hours to simmer the broth and how the dish tastes different depending on what meat is included. I went with the basic beef pho (pho bo) for $7.55. The steamy soup contained a bed of rice noodles at the bottom of the bowl that was topped with tender shavings of beef, slices of white and green onions and fresh basil leaves. I tossed in some bean sprouts that came with the meal, which added some needed crunch. 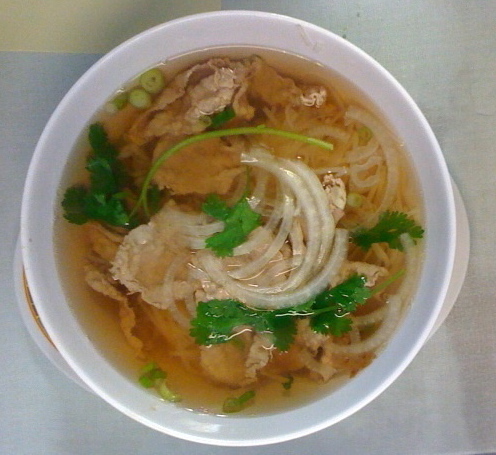 The pho was great for the rainy day — hot and deceptively filling. And when in Vietnam Kitchen, do as the hipsters do — use chopsticks to eat the noodles and beef and a spoon to slurp the broth. Some quick math at the end of my meal showed that I had gone 65 cents over my budget. But with a to-go box, a fully belly and lingering thoughts of a milkshake, I got more than my money’s worth. And I got to eat like a grown up. The restaurant will be closed Aug. 11-25 while the staff is on vacation. They ran out of the day’s special appetizer, steamed vegetable dumplings ($3.15). Get there at the beginning of dinner hours to avoid waiting, aka standing awkwardly in front of the entrance (it’s a small establishment without a standard waiting area). 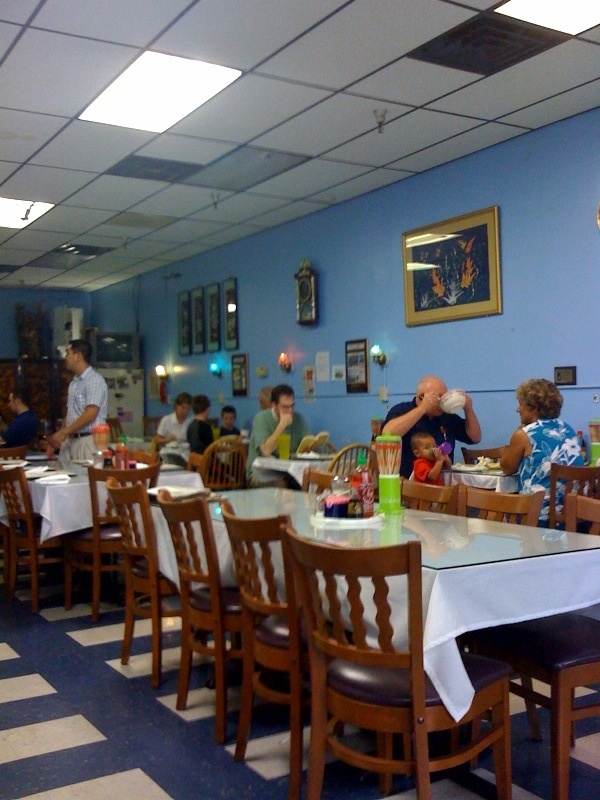 Vietnam Kitchen, 5339 Mitscher Avenue, Louisville, Ky.
*I missed a few accent marks. Please forgive me. So glad you made it there! And I’m glad you discovered the avocado milkshake. I had my first one at VK, too. I was skeptical at first, but my friend Darci (whom I trust implicitly) told me that it was going to be great. I have been a convert ever since. Sorry it didn’t pass the $10 challenge, but it looks like you had a great meal for $12.